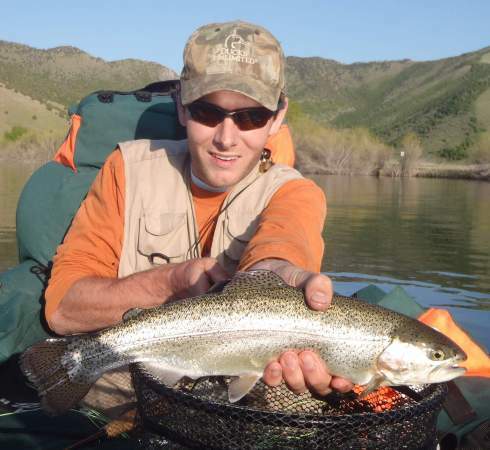 News | Cache Anglers Online | Online home of the Northern Utah chapter of Trout Unlimited. October’s meeting will feature our second presentation on how to fly fish in Cache Valley. This time we will cover the excellent fishing opportunities offered by the upper Logan River. This presentation is courtesy of Jason Reed, avid area angler and newly appointed President of the Cache Anglers USU Chapter. We’ll begin at 6:30 p.m. on Wednesday, 30 October. Please join us! Did you know the Logan River is home to the single largest natural population of Bonneville cutthroat trout? Learn where and how to fly fish for these trout throughout the year in this area of Cache Valley known not only for its fish but for its scenic grandeur. This will be an enjoyable and informative meeting for anyone who is new to the area or new to fly fishing. Bring the kids, grandkids, grandpa, and spouses. Come out and meet other local anglers. The presentation will cover access, locations, fly choice, techniques, and regulations. 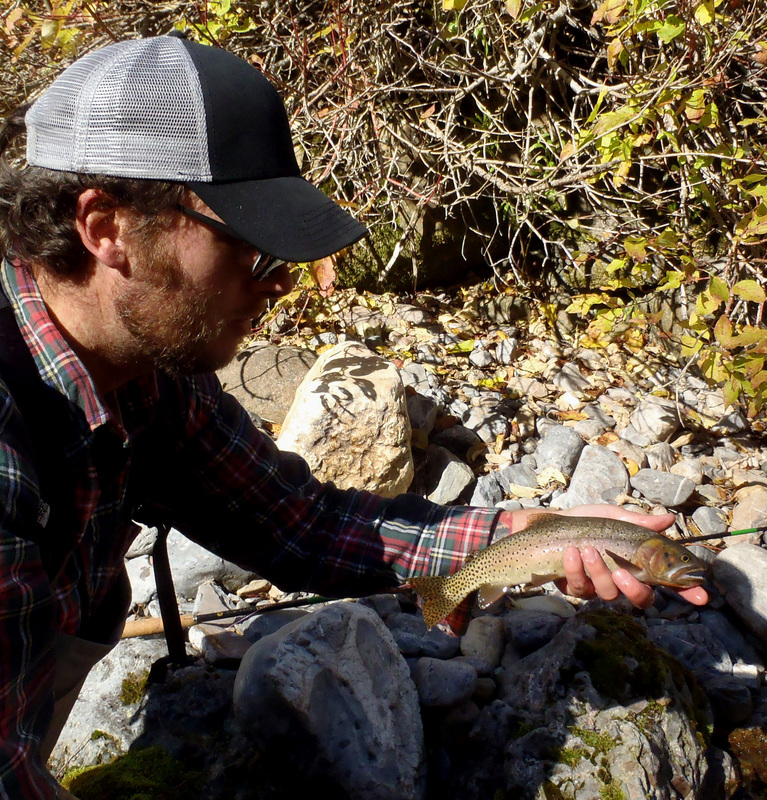 If you already know your way around Logan Canyon, come and join the conversation and trade tips and your own fish stories (even if they’re true!). Freebies will be given away and refreshments will be served. Interested in joining Trout Unlimited? We can help. Electronic registration will be available at the meeting and you can save 50 percent on an annual membership. Get involved in restoration, conservation, and education opportunities right here in the valley. Cache Anglers meets at the BIO-WEST conference room at 1063 W. 1400 N. in Logan. 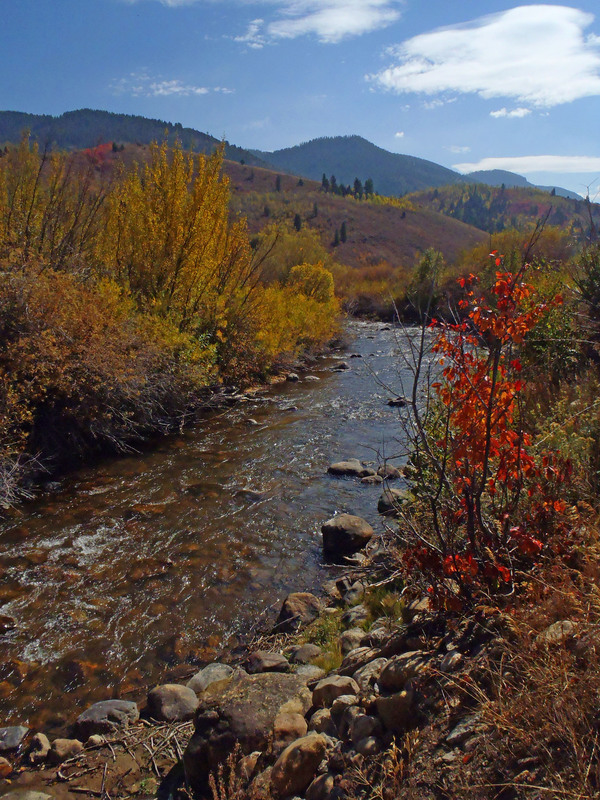 How to fish the Blacksmith Fork River—that will be the main topic at the September meeting of Cache Anglers. 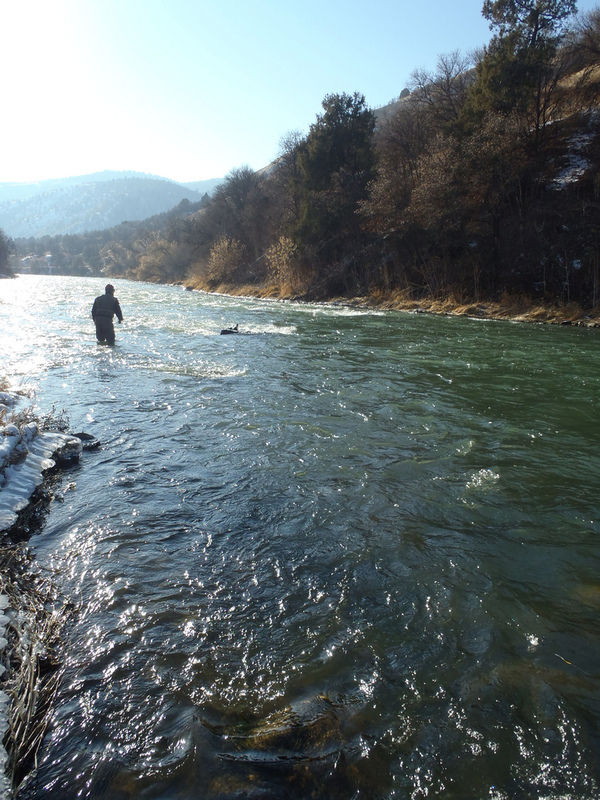 Join us on Tuesday, Sept. 17 at 6:30 for an informal presentation and discussion on where, when, and how to fish this great Cache Valley waterway. The presentation will cover locations, fly choice, and techniques for catching fish throughout the year. Those of you who are new to the area or new to fly angling will find this meeting informative. Those of you who’ve been around for a while can add your advice and wisdom. Like freebies? We will give away a Tilley Endurables Airflo hat at the meeting. The sticker price on this handsome headgear is around $65 and it is insured against loss, damage, and wear. Other freebies will also be given to the first ten people to arrive at the meeting. And one more thing—pie and coffee will be served afterwards. RoundRocks and Cache Anglers are teaming for a friendly get together on Saturday, September 7. RoundRocks will be running some promotions and Cache Anglers will be recruiting members for Trout Unlimited. If you’re heading out for some adventuring, let us help by feeding you lunch. Stop by RoundRocks at 530 S. Main Street in Logan (look for the giant dry fly in the photo above). Chef Donicio Gomez will be serving up burgers and brats with trimmings from 11 a.m. til 3 p.m., or until he runs out of food. Members of Cache Anglers will be on hand to answer questions about local fishing conditions, conservation issues, and Trout Unlimited membership. Join Trout Unlimited on Saturday and walk away with a free hat and a dozen flies. Coming up later this month, we will have a chapter meeting where we’ll discuss the summer’s activities. We’re looking for a guest speaker, too. If you or someone you fish with could speak for 10-20 minutes on how to fish the waterways of Cache Valley, please contact Cache Anglers ASAP! If you want to help out with any of these activities, please e-mail cacheanglers@gmail.org. 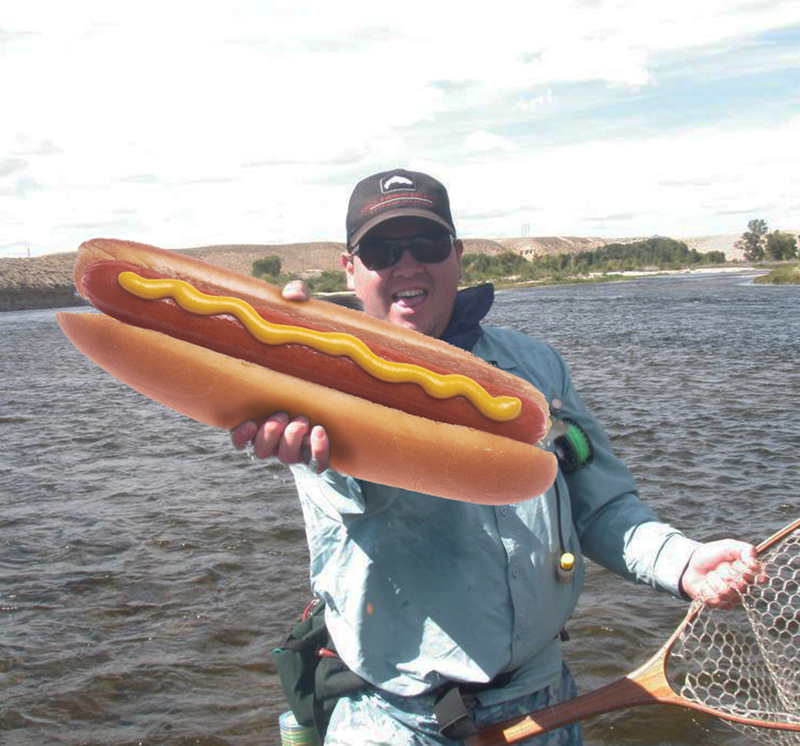 Cache Anglers will hold a chapter meeting on Wednesday, May 22. We’ll have lots to do that evening. First, we’ll discuss Right Hand Fork Project business with agency representatives. We’ll also discuss the future of the Salmonfly Relocation Project. If you plan to be involved with Cache Anglers project business this summer, you’ll want to be at this meeting. very interesting and more than a little educational. If you treat him right, Jason will also answer questions on bamboo rods, restoration, repair, and value. The meeting will begin at 6:30 p.m. at the usual meeting place. Cache Anglers will meet to swap info and gear on April 17 at 6:30 p.m. This will be a unique meeting! First on the agenda—if you’re like most anglers, you’ve got your share of supplies and equipment you never use. Gadgets, weird thread, all those flyboxes you never use. Maybe you’ve even got a fly rod that you don’t take out anymore. Put that stuff into the hands of someone who will use it. 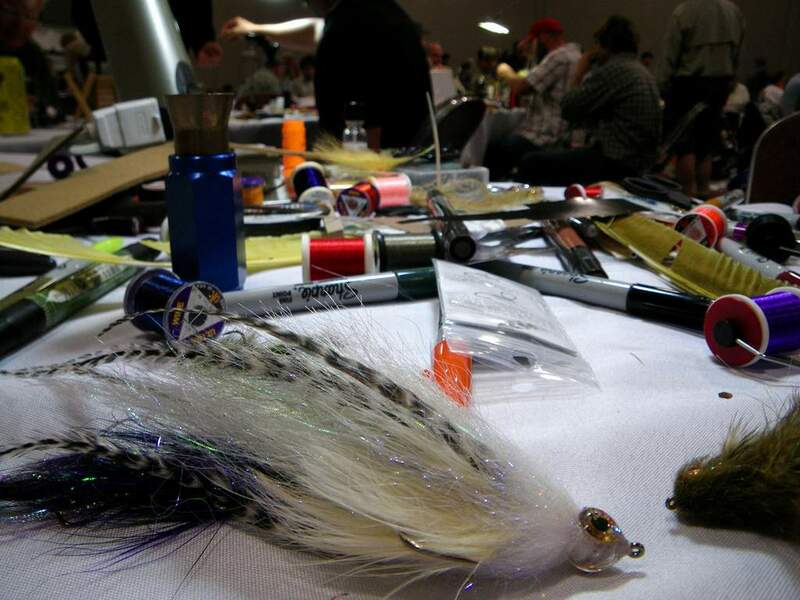 On Wednesday Cache Anglers will hold its first Fly Swap. Think “Ski Swap,” but with fishing stuff. Bring your extras, your odds and ends, your retired old pals, barter, trade, or sell them at the Fly Swap, and get to know your fellow Cache Anglers in the process. Pizza and soft drinks will be served. The Cache Anglers Fly Swap will begin at 6:30 p.m. at the usual meeting place. Nothing to swap? Come anyway and swap some info—the main event on Wednesday will be guest presenter Mike Kaul from Pinedale, Wyoming. 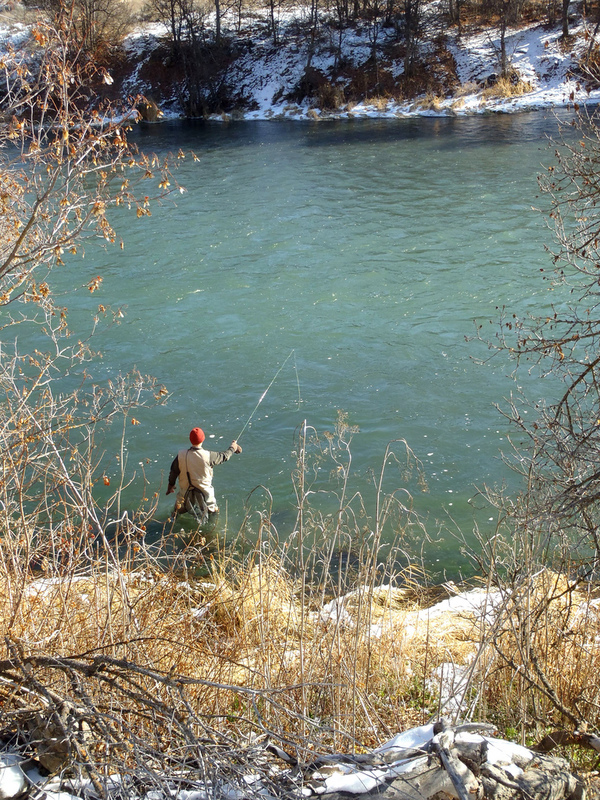 Mike grew up fishing the many fine streams and lakes of Sublette County. He is certified with the Federation of Fly Fishers as a casting instructor and has introduced many people of all ages to fly fishing. He will speak on the fantastic fishing opportunities in and around Sublette County, home to the fly fishing Mecca of the Wind River Range. The Fly Fishing Film Tour arrives in Logan on Friday, 15 March. Doors open at 6:00 p.m. and the show begins at 7:00 p.m. at the USU Taggart Student Center Theater. Do not miss this collection of fishing-related film features from around the world. Thinking of joining Trout Unlimited for the first time? Come to the show on Friday and we’ll sign you up at a special, half-price introductory rate of $17.50 and your ticket is on us! This offer is available to first-time members of TU only, and only at the F3T screening, so plan to join us. Like free stuff? You could win a trip for two to the Trouthunter Lodge on the Henry’s Fork in Idaho, a Sage Z-Axis rod, or Costa sunglasses — just by showing up. Other door prizes and giveaways from Round Rocks Fly Fishing, Fall River Fly Rods, Muskoka Lifestyle Products, Al’s Sporting Goods, and others. This screening is a Cache Anglers/Trout Unlimited fundraiser — all ticket sales go to the chapter for the benefit of local stream conservation projects. Get tickets at RoundRocks (530 S. Main in Logan), online at flyfilmtour.com, or from Cache Anglers at 435.757.2719, or at the door! In December 2006, the Twin Lakes Canal Company (TLCC) filed a pre-application document with the Federal Energy Regulatory Commission (FERC) pursuant to constructing a dam on the Oneida Narrows section of the Bear River in southeastern Idaho. Controversy and contention have surrounded the matter ever since. On one side of the issue there are energy developers, who claim the project is needed to support area agriculture and other public interests. On the other side are campers, anglers, kayakers, and activists who say the dam would not benefit the public and would destroy a priceless natural resource. The Oneida Narrows section of the Bear River is located near the town of Preston, Idaho. According to the pre-application document, the proposed TLCC dam would be 691 feet wide, 108 feet high, and would hold back more than 17,000 acre-feet of Bear River water for the purposes of irrigation and hydroelectric power. Just upstream from the Oneida Narrows there is a dam owned and operated by energy company PacifiCorp. There are two other PacifiCorp dams in the vicinity. However, the Oneida Narrows is an undeveloped and relatively wild place where recreationists of all kinds have gathered for decades. Area activities include camping, fishing, kayaking, canoeing, tubing, and birdwatching. In March 2007, TLCC continued its filing process by applying to the Idaho Department of Water Resources (IDWR) for the necessary water rights. In that same month, TLCC began the public scoping process by seeking out and collecting comments and other feedback from the public and interested agencies. It is estimated that TLCC has spent at least $2.5 million on the effort so far. Public interest in the issue has been intense. Numerous groups have banded together in opposition to the proposed dam construction, including the Bear Lake Watch, Bear River Watershed Council, Great Salt Lake Keeper, Greater Yellowstone Coalition, Idaho Rivers United, and Trout Unlimited. One of the leading opposition groups is the Oneida Narrows Organization (ONO), which was created by private citizens specifically to protect the area from what they consider unnecessary and harmful development. TLCC President Clair Bosen claims his company needs additional irrigation water for its agricultural customers. He says the hydroelectric power generated by the dam would pay for itself and water pumping operations. He claims it will also allow the water to be distributed in pipes, which is more efficient than using canals. In various comments to the media and in public comments made during the permit application process, Bosen has stated the project would benefit area agriculture, would be good for the local economy, and would not negatively impact other water rights holders. He has also stated that the impacts to the river and riparian habitat would be replaced with the stillwater recreation opportunities associated with a reservoir. The primary claim of the proposed project’s opponents is that the Oneida Narrows is a special place because it is one of the last publicly accessible, relatively unspoiled, and free-flowing sections of the Bear River. Much of the rest of the Bear River has been impacted by development and runs through private land. Opponents claim the reservoir would destroy large amounts of wild habitat and would negatively impact fish and animals. The Oneida Narrows is home to many species of wildlife, including native Bonneville cutthroat trout, moose, elk, deer, bats, and eagles. Conservation group Trout Unlimited claims the TLCC project would threaten a multimillion dollar restoration project that benefits fluvial Bonneville cutthroat trout. PacifiCorp was initially in favor of the project but later withdrew their support because it would negatively affect the other PacifiCorp operations in the area. In November 2010 a pre-hearing conference was held, during which the parties requested a formal hearing with the IDWR so that TLCC’s water right permit application could be debated and discussed. After various application amendments, public notices, protests, and extensions, the formal public hearing was held in March 2012. Exhibits of evidence and public testimony for and against the permit application were entered at these hearings. On July 26, 2012, the IDWR issued a preliminary order denying TLCC’s water right permit application. In the order, the IDWR concluded (among other things) that the TLCC’s permit application conflicts with local public interest. The preliminary order is signed by IDWR Water Resources Program Manager James Cefalo. Read the text of the order here. The denial was categorized as preliminary because the permit process allows interested parties to appeal such decisions by filing exceptions. TLCC filed exceptions to the preliminary order on August 9, 2012, and interested parties filed responses to these exceptions later that month. On 18 October 2012, IDWR Director Gary Spackman issued an order upholding the previous ruling. Read the entire text of the order here. After the final order was released, TLCC President Clair Bosen said the company was examining options to move forward, and it has since been learned that TLCC will pursue federal permitting despite the lack of state permitting. Most agree that obtaining federal approval for the project will be difficult without the proper state permits, but no one says it’s impossible. Trout Unlimited and other involved groups hailed the final order as a victory and have stated that the likelihood of a dam at the Oneida Narrows has now grown exceedingly small. However, ONO says they are continuing their fight against the dam. 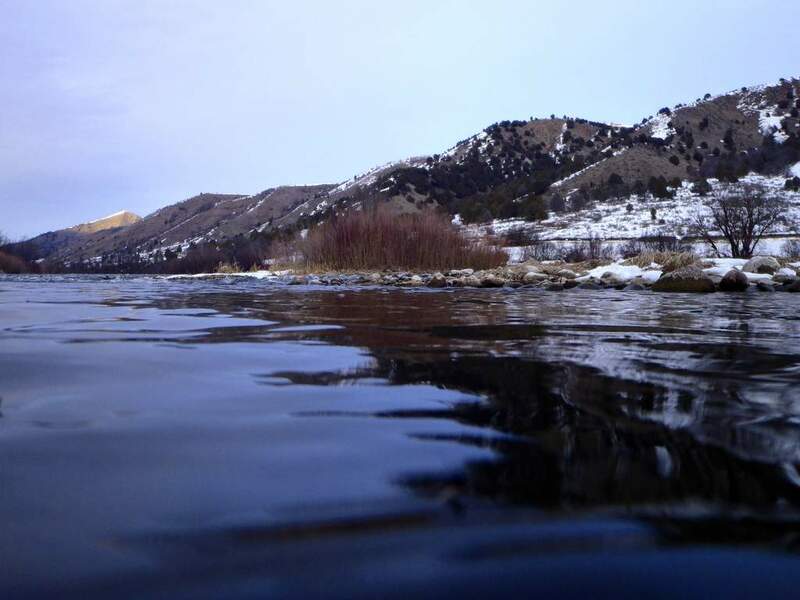 ONO is teaming with the Bear River Watershed Council to go on the offensive. ONO head Star Coulbrooke says her organization plans to pursue protected river status for the Oneida Narrows when the TLCC dam proposal is withdrawn from or denied by FERC. This designation would help prevent similar or repeated proposals in the future. Written by Chadd VanZanten with indispensable assistance from Star Coulbrooke. Full disclosure: although this article is intended to summarize only the facts of the matter, the author is opposed to the proposed dam. See an error? Please contact Chadd at chaddd(at)gmail.com. Thanks for reading. Kris Millgate of Tight Line Media released this teaser promo for a film she recently produced for Trout Unlimited called “The Narrows.” The film’s title refers to the Oneida Narrows, a stretch of the Bear River in southeastern Idaho. 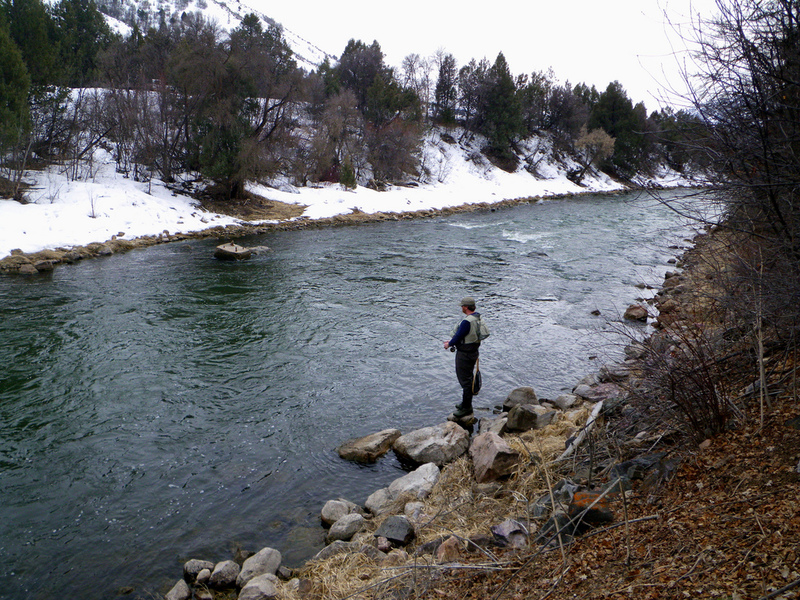 The Oneida Narrows area is one of the last unaltered sections of the Bear River that is publicly accessible. Also famous for its beauty and recreational appeal, including fabulous fly fishing, the Narrows have long been surrounded by controversy sparked by an ongoing proposal by Twin Lakes Canal Company to construct a new dam there. Members of Cache Anglers and Trout Unlimited (among many, many others) have been involved in a protracted effort to shut down the dam proposal, and although TLCC has been dealt some major setbacks lately, it’s often very hard to tell when a dam proposal is really dead. Millgate’s film also features two members of Cache Anglers, Stephen Duffner and Bradley Hansen, who fish the area regularly throughout the year. Stay tuned for a longer article explaining the history and current status of the Oneida Narrows controversy. 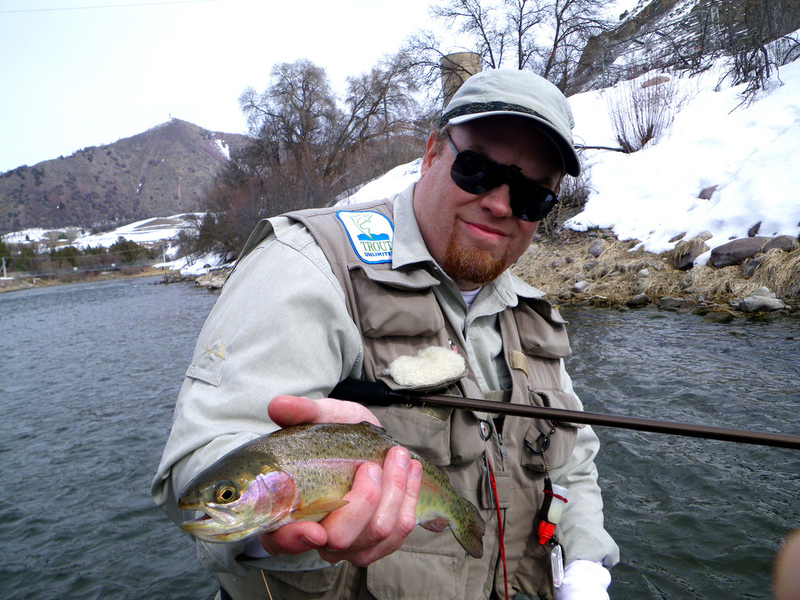 The Fly Fishing Film Tour will play in Logan on Friday, March 15. Cache Anglers is sponsoring the screening to raise operating funds, but that shouldn’t stop it from being a whole lot of fun. F3T will play at the Taggart Student Center Theater at 7 p.m. Doors open at 6. 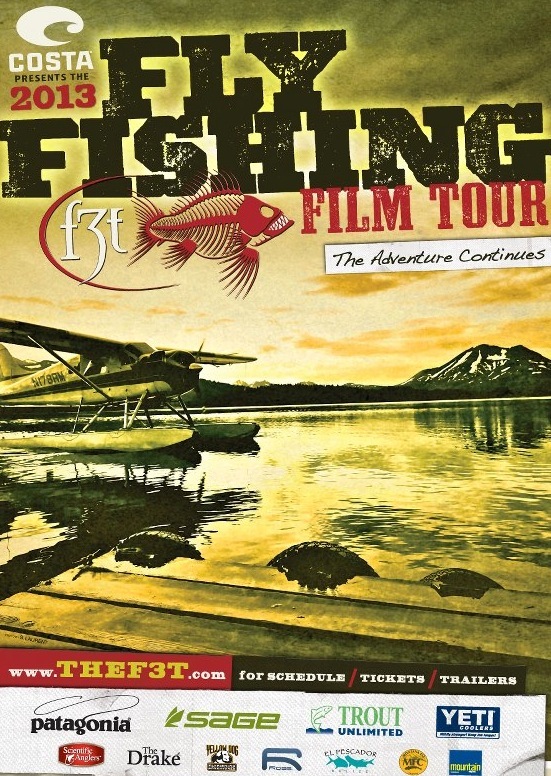 F3T is an annual festival of fly fishing features by the best filmmakers from around the world. The films feature eye-popping production values, exotic catches, and gorgeous scenery. Expect anything from hoot-inducing, high-action thrillrides, conservation-minded mini-documentaries, and films of a more contemplative nature. The F3T is not to be missed! As always, there will be drawings for lots of giveaways and swag. Ticket prices and other details are forthcoming, including trailers from the official selections. Meanwhile, check out the F3T website and please save the date! We’d really like to pack the house and make it a successful fundraiser. Tell your friends, bring your family, make a night of it. Bradley is an avid fly angler, a member of Cache Anglers, and has been actively involved in chapter projects. 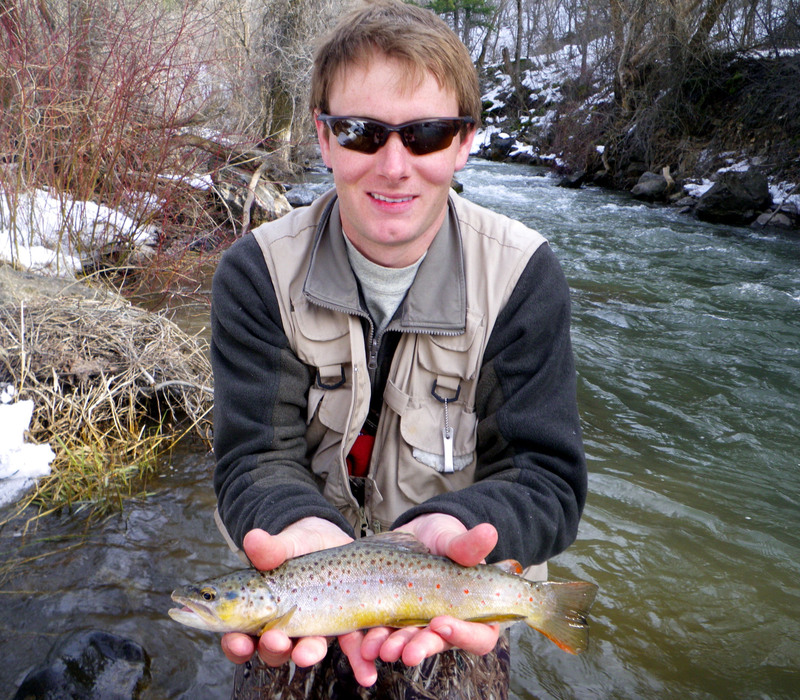 He also happens to have conducted a great deal of research on nonnative aquatic species introductions in Utah, and in February he will share what he’s learned at the Cache Anglers chapter meeting. Ever wonder how and when brown trout, rainbow trout, and brook trout ended up in our waterways? Are you aware that other species, such as lobster and salmon, made brief appearances in Utah? Do you know how LDS prophet Wilford Woodruff fits into all of this? Hear these and other surprising details in what promises to be a highly entertaining and enlightening presentation. The meeting will begin at 7:00 p.m. with chapter business followed by Bradley’s presentation.